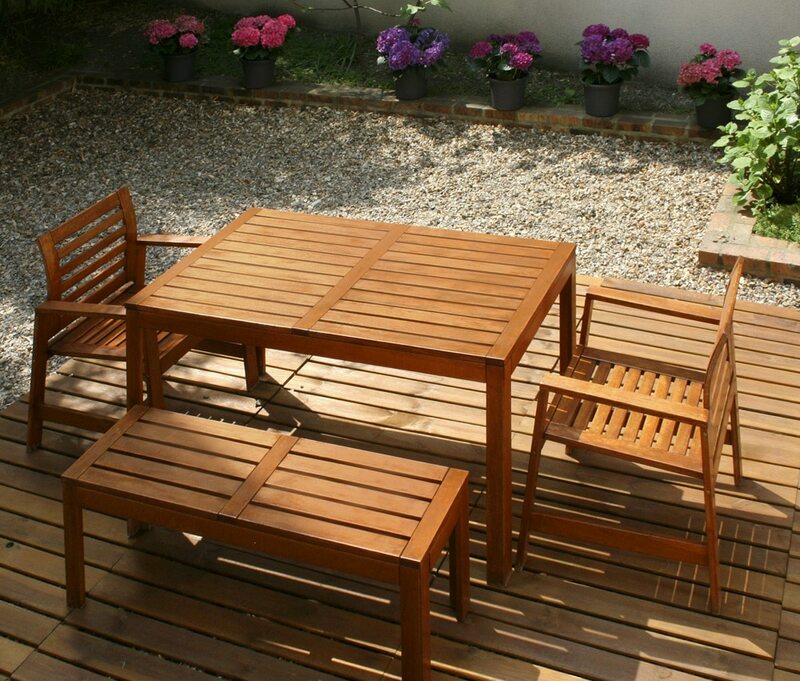 Is your garden furniture looking a little worse for wear? Has the previous coating become faded or is now peeling and flaking off? Then we have the products to help you renovate them back to their former glory! First, you will need to strip off the previous coating / finish. To do this, we recommend using a good quality stripper such as Aquanett. Aquanett is our is a powerful, biodegradable, water washable remover and cleaner that strips out new, old and encrusted oils from exterior wooden surfaces blackened by UV rays and also cleans severely weathered wood. Because of its gel-like consistency, Aquanett is very easy to apply and can be used on both horizontal and vertical surfaces. Aquanett is fast acting (5 minutes) and will quickly and efficiently remove the previous coatings. Apply a thick coat of Aquanett over the whole surface to be stripped. For large areas work in smaller zones that can be finished in a shorter time. Allow the product to work (max 5 minutes). Scrub surface with stiff nylon scrubbing brush while flushing with water, alternatively use a pressure washer (max. 60 bars / 870 psi). Thoroughly rinse the surface after stripping with fresh clean water. After stripping and rinsing, surfaces must immediately be treated with Net-Trol while still wet to neutralize the surface. Once the wood has been stripped with Aquanett, the wood then needs to be neautralized with Net-Trol. Net-Trol is a powerful wood neutralizer and cleaner which restores greyed and weathered wood to its natural color without damaging the wood’s fibers. It effortlessly removes both surface and ground in dirt leaving the wood looking bright and vibrant. Net-Trol is fast acting and can restore the original color of your wood surface in as little as 15 minutes with no laborious and backbreaking sanding! Once the previous coatings have been completely removed via Aquanett, you can then apply the Net-Trol. First, wet the wood with fresh, clean water. Then apply Net-Trol with a synthetic brush or roller. With the Net-Trol applied, scrub the surface with a stiff nylon or synthetic brush and leave it to stand for approximately 10-20 minutes – if the surface starts to dry, you must dampen it with a mist application of water. Then, scrub the surface whilst rinsing with water or, alternatively, use a pressure washer (max. 60 bar) – if required, repeat the procedure. Lastly, allow the wood to dry for 48 hours before using Aquadecks. Once the wood has been stripped and neutralized and has been left to dry for 48 hours, you can then apply your finish – Aquadecks! Aquadecks is a penetrating water based wood finish that leaves a long lasting, rich, matt finish for all woods, including exotic hardwoods. Quick and easy to apply, Aquadecks is ready to use, dries fast and has low odor. Due to Aquadecks being non-film forming, which means no peeling or flaking, this makes it easy to maintain without the need for sanding and stripping. 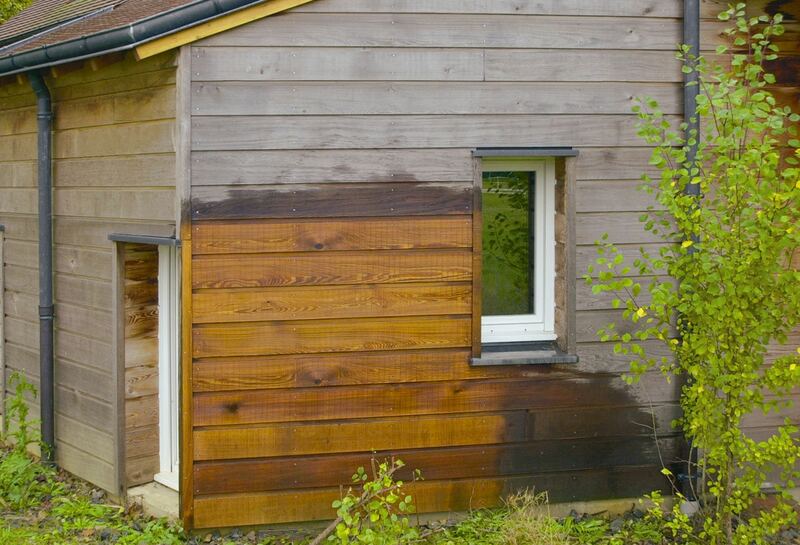 Once the wood has been neutralized and has been left to dry for 48 hours, you can then apply the Aquadecks. First, you apply the 1st coat liberally and allow it to penetrate into the wood. 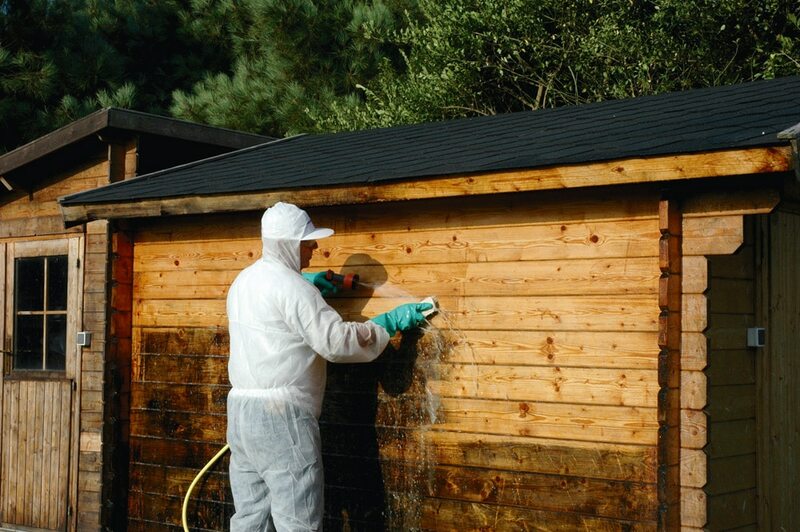 Then, apply a 2nd coat as soon as the wet look of the 1st application has disappeared (normally 15- 20 minutes) and allow it to penetrate into the wood – for very porous surfaces a 3rd application may be needed. Brush out any puddles within 20 minutes of applying the last application to avoid Aquadecks drying as shiny spots on the surface. Do not allow Aquadecks to become Touch Dry or Dry between applications – it must be applied ‘wet on wet’. Remember, Aquadeck’s place is in the wood not on the surface. Leave the Aquadecks to dry for 48 hours and there you have it! 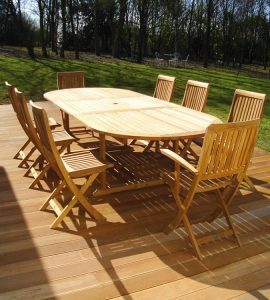 Your garden furniture is looking as good as new again! Take a look at our demonstration video below for before and after shots and to see just how simple it is to restore your furniture back to its former glory.